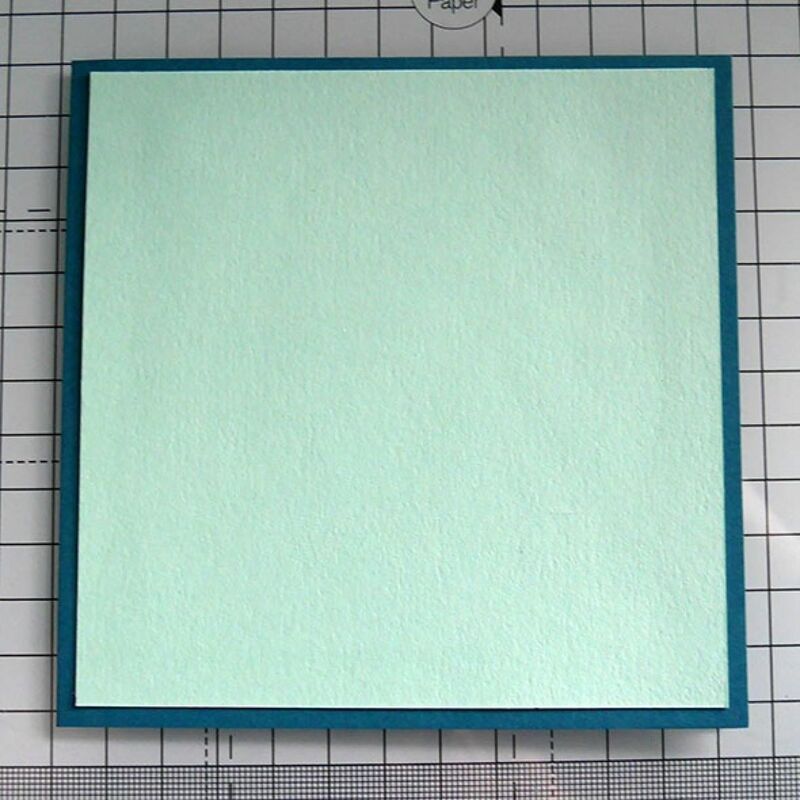 I started by layering a panel of the Pale Turquoise card over the Teal card blank. 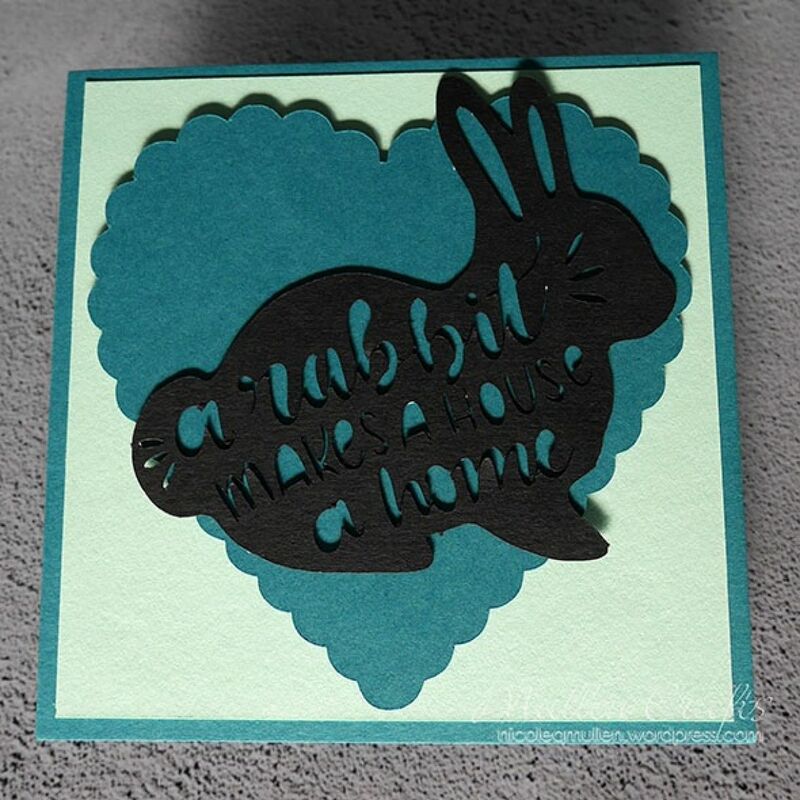 I then used my Silhouette to cut out the 'A rabbit makes a home' shape and a scalloped heart in coordinating teal card stock so that it matched the card blank. 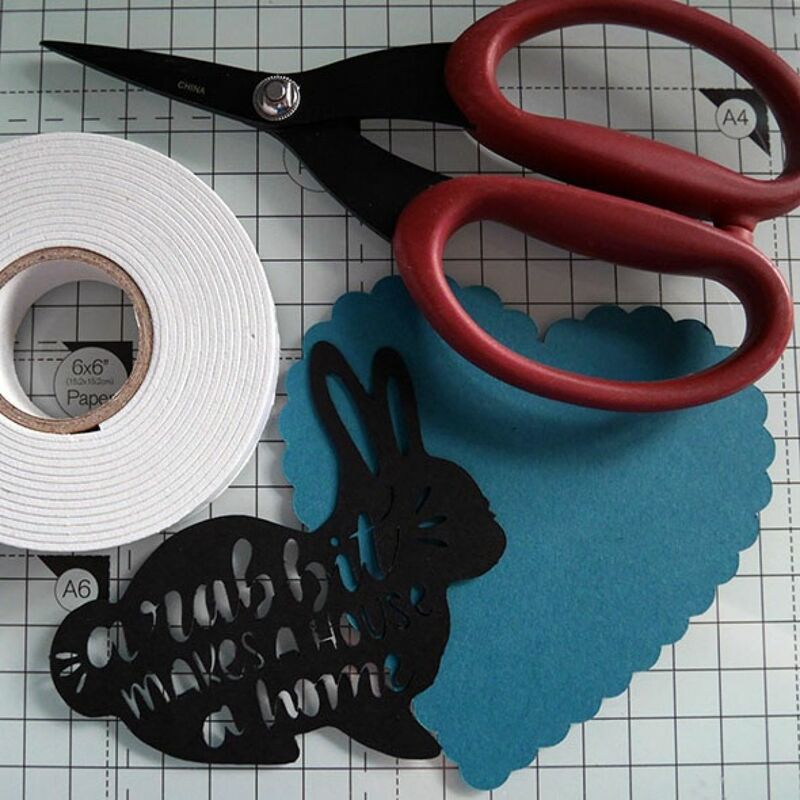 I then got busy with foam tape and scissors and added it onto the back of the rabbit to give it some dimension when adhered down. 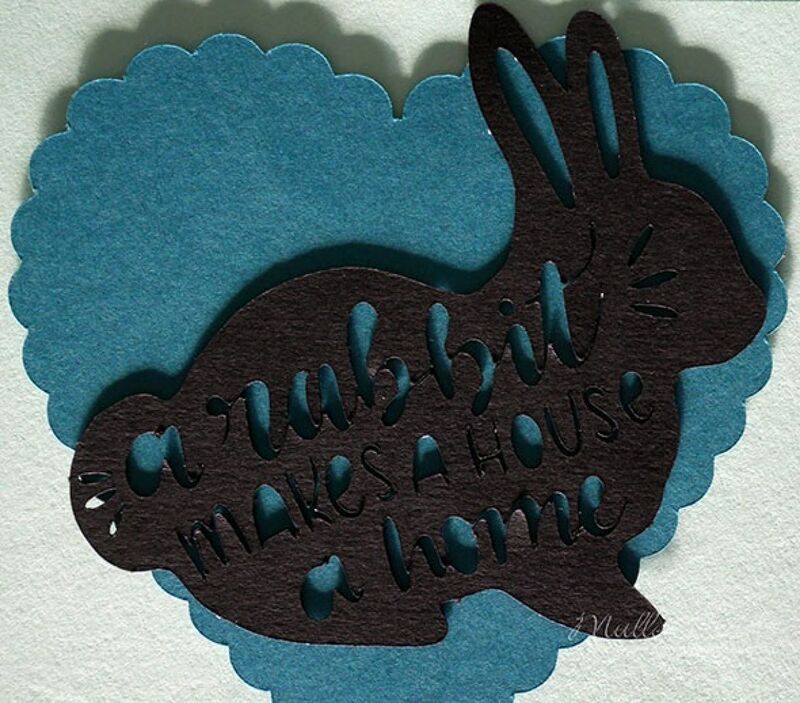 The foam tape means that you can see the cut out writing on the rabbit easier with the dimension. 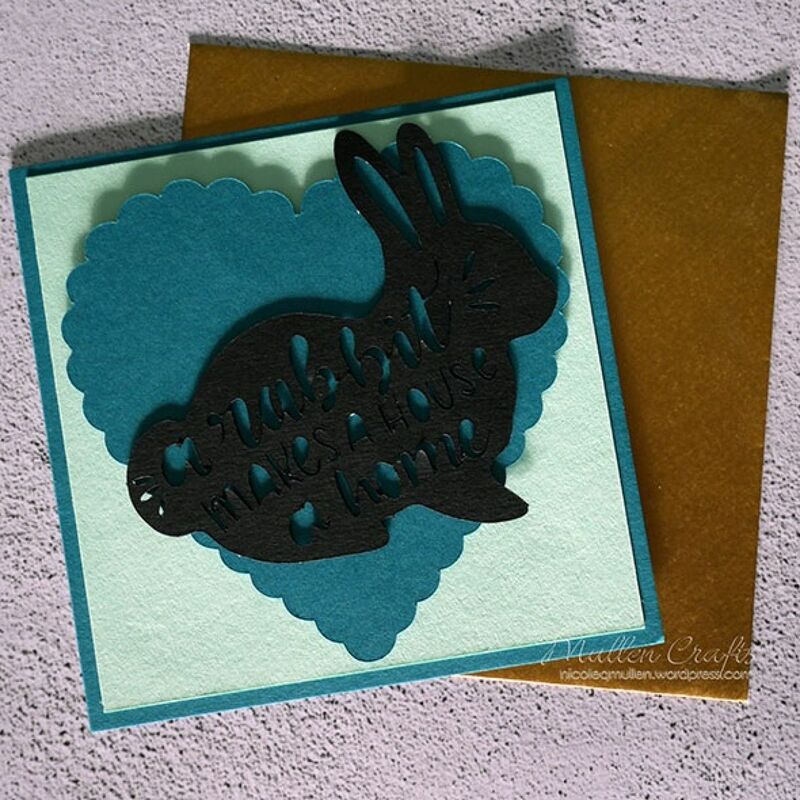 I decided a fun card deserved a fun envelope so I went with a gold envelope as a nice contrast to the teal. 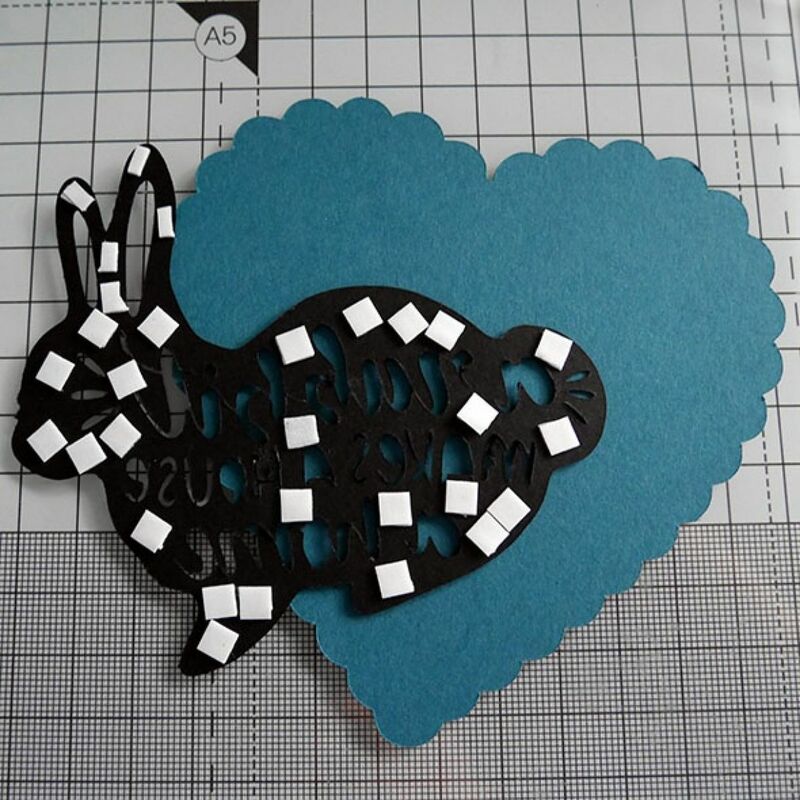 It is always fun to send a card with a little note just to say hi and these small card blanks and envelopes are perfect for that!